Paris aged 11 lives at Meadowview which is fairly new estate near the top of Bear Road. Paris says it is hard to walk home up the hill but easy when you are going down. She likes living at Meadowview where she has lots of friends and people have big gardens. She used to go to Bevendean School and it was easy to get to because there is a short cut down the steps. There are lots of fields nearby, Paris can see lots of meadows out of her window which is why the estate is called Meadowview. On a warm day she can go and see the horses in the fields and feed them. Paris likes horses and would like to ride. The estate is built where there used to be a big hospital (see photo). the gates are still there and Paris sometimes goes to the Bevendean Community Centre which is just inside the gates. Paris thinks if you weren’t well it would have been nice to look out of the window and see the meadows. “Over 100 years ago I would have walked all the way up the hill through fields, I like the houses that are there now in Bear Road and Coombe Road but I like fields as well” she says. Paris continues, “I would have worn a dress and a big hat and boots with lots of buttons to do them up. My mum would have stayed at home and cleaned the house, only men went to work. It would have been weird for me if I had to go and work in a factory when I was 11 because now I just go to school. If I was still at school I would have learnt English and cooking and sewing because women had to do sewing. I would have helped my mum with the cooking and cleaning it would have been hard work. Bevendean Hospital was the Brighton TB hospital in the 1950s and had a rather gloomy reputation in those pre-penicillin days. Many patients did not survive. My mother was in there and was cured with – amongst other treatment – the help of a daily bottle of Guiness provided free by the NHS! I too was a patient in the Bevendean Hospital, in 1956 for 3 months, I remember the doors and windows were always open and birds flew in and out all day long. Fortunately Streptomycin was discovered that year and I was able to recover fully. We were wheeled outside to enjoy the fresh air every morning but were not allowed to lay in the sun. 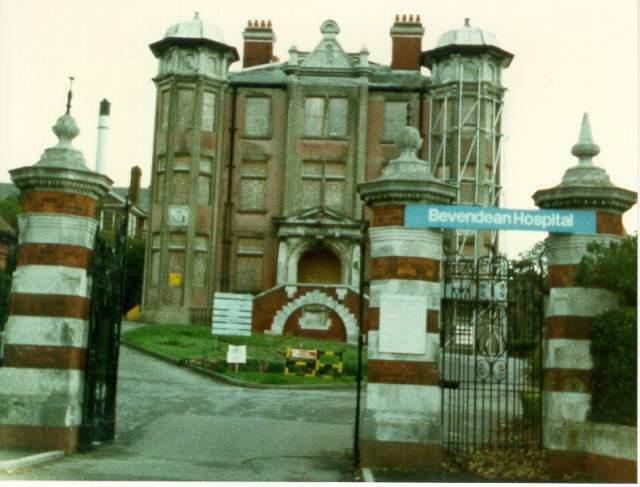 My elder sister was a patient at Bevendean Hospital in the early 1950s with pleurisy. Only our mother was allowed at her bedside. My younger sister and I had to stand some distance away. She used to wave to us from an open window though, as we left after visiting hours were over. She made a full recovery thank goodness.